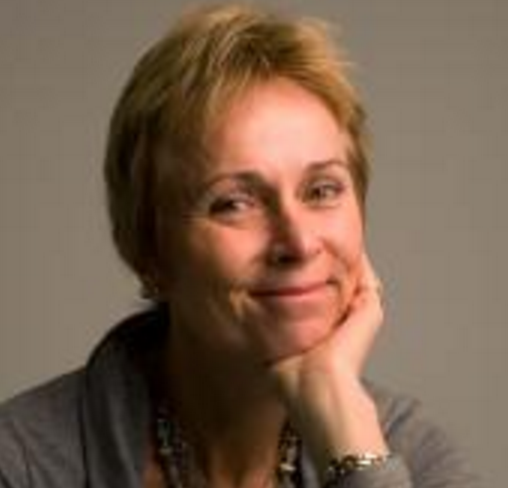 Christine Mummery is Professor and Chair of Developmental Biology at Leiden University Medical Centre. She pioneered studies on heart muscle cells (cardiomyocytes) made from human embryonic stem cells and was among the first to inject them into a mouse heart after a heart attack. We learnt more about Christine’s research in conversation at a stem cell conference in Paris in April 2011. How did you first get interested in heart cells? About 10 years ago when I first started working with human embryonic stem cells, the first cells we ever made in the lab from these stem cells were cardiomyocytes – heart muscle cells. In a heart attack, or myocardial infarction, it’s cardiomyocytes that die. So I set out with the very simple idea that if you could produce enough cardiomyocytes and inject them into the heart, then you could fix the damage and prevent heart failure. It seemed reasonable at the time; we just thought the challenge would be making enough cardiomyocytes because we’d need about 100 million cells. 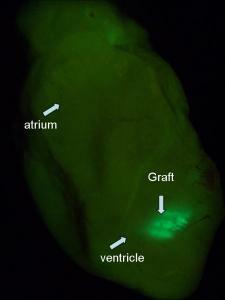 Once we’d got enough cardiomyocytes for transplantation, we injected them into the heart of a mouse. The cells survived extremely well and we were initially very pleased. We had an MRI scan for mice and we looked at heart function. It seemed to improve dramatically, but in fact the heart function was still going down and all we were doing was preventing it from going down as fast. So we weren’t solving the problem. It turned out that almost ANY cell put into the heart does something, but there’s no particular advantage in putting in several million cardiomyocytes even though they survive long-term.So you started out thinking you would make cells to put into the heart? Yes. We had a pretty good method for making cardiomyocytes, but we couldn’t get enough cells so we worked on improving our protocols. While we were doing that, we studied the cells. I’m a physicist by background and physicists like to measure things. The electrical activity of the cells is something you can measure, so we started measuring the electrical activity of our cardiomyocytes. We found that they were pretty immature, but they had all the properties of proper cardiomyocytes – they had electrical activity and they could beat. That was something that had not been observed using adult stem cells. If the cardiomyocytes could beat okay in the lab, why didn’t injecting them help the heart? Looking at the cardiomyocytes, we found that they were not all aligned. The cells in the heart have to be aligned in the same direction; they have to be pulling in the same direction to get contraction of the muscle. But they were all criss-crossed over the top of one another and there was no networking being done. In fact, the cardiomyocytes were all in the scar tissue and not connected to the pacemaker system that drives the heartbeat. So how are you going to do that? The cells are not all supposed to beat by themselves, they’re supposed to listen to the master regulator. They were two of the problems, but they weren’t the only ones. There were huge technical problems that we had to solve, aside from the ones we had expected, such as getting enough cardiomyocytes, preventing tumours, immune rejection – those were the standard things we thought we had to deal with, but there were many more difficulties. Do you think all these problems will ever be solved so we can treat heart disease with cells? I think we were among the first to say what the challenges were. And then the bar got set higher and people now have to do longer studies. But I think in all honesty if there’s any benefit it may come from optimising things like the inflammatory response and finding ways to make new vessels form from the heart itself, not from cells you put in. If you’re not planning on putting cells into the heart anymore, what route are you taking now? Something I’d wanted to do for a long time was look carefully at what different drugs do. So we picked that up more systematically. Particular electrical parameters in cells are very important for determining drug safety. Problems with certain drugs had shown that the pharmaceutical industry was failing to detect safety issues in many drugs despite lots of tests in animals and other systems. We managed to pick up the safety problems with a test using our cells in the lab. So I thought, this wouldn’t replace animals but it may help you identify which drugs have safety issues at an earlier stage in development. And if the pharmaceutical industry is failing to pick up safety issues because they don’t have the right test systems, they may also be failing to pick up clues to produce new drugs. The number of drugs coming onto the market is going down, despite companies investing a lot. So why is that? It’s because they don’t perhaps have the right systems to look for new drugs and we don’t have proper models to look at heart failure. I think that’s where we could be putting a very useful effort. 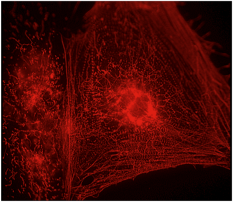 How can your lab-grown cardiomyocytes help with drug development? Our idea is not to use the cardiomyocytes as the drug, but to use the cells as the patient. So the sick cardiomyocyte is the sick patient, with the idea that if we cure the cell, we could cure the patient. We were thinking about all this when Shinya Yamanaka came along with his iPS cells. And that fitted beautifully with our idea. Instead of having to use therapeutic cloning to make cells with the disease, there’s now the opportunity to do it with iPS cells. So it’s really inspiring that those modern systems are there. The exciting thing is to ask whether you can still see differences between individual patients when you look at iPS cells made from their adult cells. I moved to a medical faculty three years ago and we have people in our cardiology clinic that allow us to study this. For example, there’s a father who’s got a mutation in a particular gene and he doesn’t have anything much wrong with his heart, whereas his son of 14 has had a cardiac arrest with the same mutation. Now why? What’s the difference between the father and the son? What we don’t know is whether iPS cells from those sorts of individuals will retain the individual’s identity – will cardiomyocytes made from the father’s iPS cells be okay but the son’s show a problem? That will be, I think, quite an important question because if the iPS cells keep the identity of the patient, then you will be able to design your drug screen for the most sensitive individuals. These will be really interesting, and clinically relevant, questions to answer. Yes it is a long-term project, but in the end it’s going to be more valuable, at least for the heart, than using the stem cells as a drug. I think in this case it’s better to use the stem cells as the patient. For some diseases, like diabetes, transplantation works. If you can make good beta islet cells (insulin-producing cells) from stem cells then transplantation is a very simple surgical procedure and a treatable condition - it’s done now with cells from donors. But there are other diseases, like ALS or multiple sclerosis, where the transplantation is a problem. The whole central nervous system is affected. How are you going to get cells into the middle of the brain? For those diseases, you have to use the stem cells as a patient. Every disease is different. We’ve talked a lot about cells and therapies, but you’re a physicist by training. How did you wind up doing all this biology? I studied physics and then I did a PhD in biophysics. I was doing a lot of measurements on cells and I actually found the cells quite interesting. A lot of people in the stem cell business haven’t studied biology or stem cell biology as a first degree. They have often studied chemistry, engineering or physics. People who come from these backgrounds want to measure things. You’re not going to make the cells just to say you’ve got the cells. You’ve got to know what you want to measure and how you’re going to measure it. That’s why I think chemists and physicists, perhaps the more exact scientists, have tools that can be useful to biologists. Some of the modern techniques that are used in biology were made by engineers. The biologists say, ‘I would like to measure x’, and the engineers think about ways to do it. And then once you have a measurement, the mathematicians come in when you need to analyse it. So it’s a multidisciplinary problem. What would be your advice to someone interested in starting a career in stem cell biology? I would firstly say, it doesn’t matter that much what you study. Decide whether you’re interested in how things work, or in applying the knowledge you’re gaining to making things work for individuals. Those are quite different kinds of people. You have to learn what YOU find interesting. Some people ask, why does a woman do this? And people are surprised that I’ve got three kids and a family. There are quite a lot of women doing good stuff who do manage to combine it with a normal life. So I think if the younger generation would like to know if you can have a normal life next to doing science, I would say yes, you just have to be very organised! Finding your inspiration is important. What inspires you? What would you be excited to achieve? An example of the sort of things I’d like to achieve is something we actually did last year. We published a paper in Nature Medicine about a new use of the drug thalidomide. We found it stopped chronic nosebleeds in patients with vascular disease. They have about 30 nosebleeds a day and it went down to 2 a day in some cases. We found out why and it got published. Now that’s almost a dream come true because it’s an existing medicine, given to patients, and we found out the mechanism. We have mails from people all over the world who have given thalidomide to their patients with this kind of disease and their nosebleeds have, in some cases, virtually stopped. In many ways that’s what you dream of. People get better because of something you did. Perhaps my ambition before I retire is to do something like that for the heart. I’d love to be among those who discovered something that leads to a drug for heart failure. Whether it’ll happen I don’t know, but to be a scientist at all you have to be pretty optimistic. Cardiomyocytes from human pluripotent stem cells in regenerative medicine and drug discovery, Braam SR, Passier R, Mummery CL, Trends Pharmacol Sci. 2009 Oct;30(10):536-45. Epub 2009 Sep 15. Images and film by the Mummery lab.